There’s no two ways about it: 2016 belonged to adidas. From designs to ad campaigns, colourways to concepts, in the brand war which fills modern football, adidas are currently king. As 2017 gets up and running and we’re teased with more releases (more on that later), FOOTY.COM thought what better time to reflect on a very productive 12 months for the German brand. adidas Football, this was your 2016! Formed over 90 years ago, to say adidas have been around the block would be the understatement of the year. They’ve seen many wars and political movements, all while shaping football as we know it today, establishing themselves as one of the biggest brands on the planet in the process. From their early days through the entrepreneurship eyes of the Dassler brothers in the 1920s, to the groundbreaking work carried out by the adidas Group today, nobody can accuse the brand of standing still. “Shaping the future of sport: We have never just innovated for innovation’s sake. And we never will.” Those are the words standing front and centre of the adidas Group website, the company vital for the brand’s progression. In a year of unpredictability and instability, adidas continued to consistently deliver innovative and iconic products, month on month. Here’s how they did it. 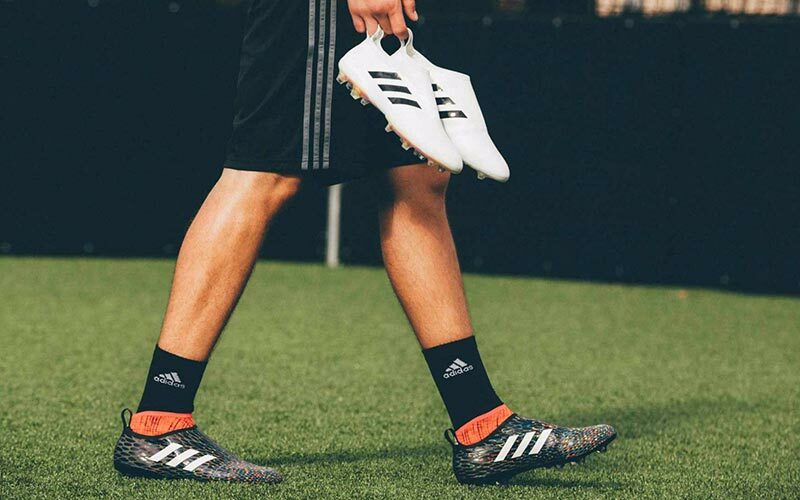 With 2015 seeing the end of two of the brand’s most popular silos, the Predator and F50, 2016 needed to start with a bang and adidas didn’t disappoint. Although the concept of laceless boots has been around for years (see the Lotto Gravity + F50 Tunit), 2016 really saw them take off. Pun very much intended. The ACE 16+ PURECONTROL was the first high performance laceless boot to grace the game. Coated in an illuminous green colourway, worn by playmakers including Mesut Ozil, Ivan Rakitic and Paul Pogba, adidas wasted no time to get ahead in the boot game in 2016. Sam Handy, adidas Football’s Vice President of Design made their intent clear, stating “the ACE 16+ PURECONTROL is already set to become one of our most iconic releases ever.” Handy has been at the heart of adidas’ innovation throughout 2016 and having spent several years as Design Director at adidas Originals, his skills and creativity have helped integrate lifestyle inspired products into adidas Football’s weaponry. After much hype and fanfare, the evolution from the 15.1 ranges was met with open arms from every playing level. Providing a glove like fit, revolutionary technology and the cleanest striking surfaces ever seen, it’s hard to imagine a time when the ACE and X weren't commonplace in the game. As the laceless ACE was worn by some of the best players in the world at the beginning of 2016, adidas stepped up their design game in the run up to Euro 2016, the Champions League final and the beginning of the 2016/17 season. Sitting alongside the ACE, the X and Messi 16 range were also given a lace cover upgrade, introducing us to the PureChaos and PureAgility. 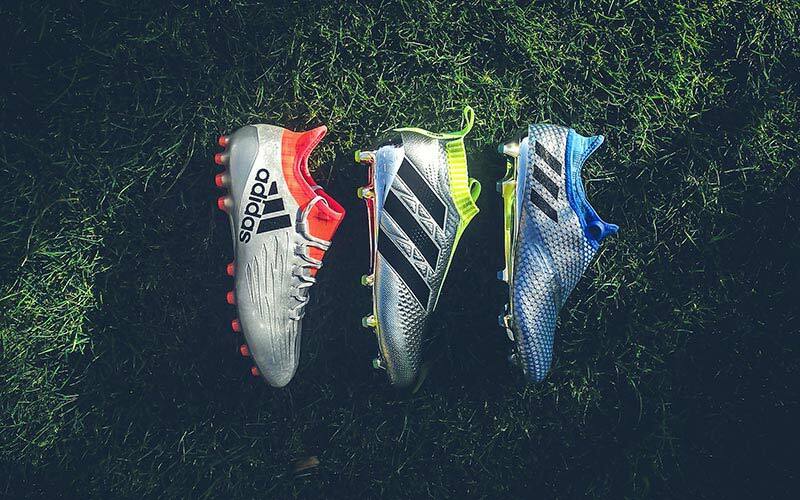 In a market where new boot packs are more common and flash than a Cristiano Ronaldo selfie, brands have to release eye catching colourways to capture your attention. Throughout 2016, adidas did just that. To make a bold statement for the first full boot pack of the 16 range, the Ace, X and Messi were brought out in the scintillating, chrome inspired Mercury Pack. With such clean and simple boot bases to go off, each provided the perfect canvas for adidas’ latest colourway designs. 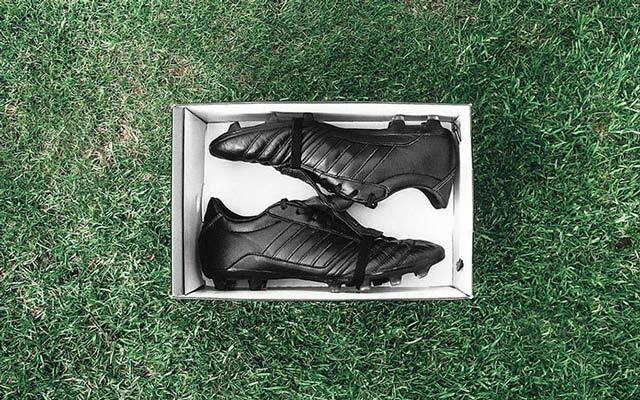 What followed were some of the best boot packs we’ve seen at FOOTY.COM. 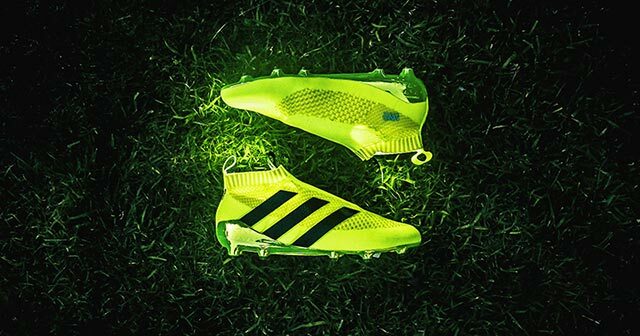 After the Speed of Light pack had lit up pre-season, adidas released an onslaught of unique and innovative space inspired designs. Taking on an extraterrestrial theme, the Dark Space, Space Craft, Stellar and Space Dust packs took adidas’ boot game to new heights. As the ACE and X firmly established themselves in boot lover’s collections, adidas were well on their way to releasing their latest revolution in laceless boot technology: Glitch. From the development to the advertising, adidas have ripped up the rule book when it comes to Glitch. A boot which isn’t mass produced, has little input from professionals with no major endorsements, and shaped by the creativity of its users, the Glitch model is incredibly unique and groundbreaking. Speaking to Soccer Bible, Handy described Glitch as a space for adidas to be creative and allow them to do things differently. “Something we learned from the ACE 16+ PURECONTROL is that people want new, different and progressive ideas - people want to be surprised,” states Handy. Well, they don’t come more progressive than Glitch! Shaped by the development and feedback from the ACE and X, Glitch takes the laceless concept and gives it another huge twist: interchangeable inner and outer shoes. Customisable inner ‘socks’ and outer ‘skins’ unlock a player’s creativity and offers the chance to feel part of a community previously unseen in the boot world. To get your hands on a pair, you’ll need to follow a number of specific steps, all of which bring you closer to the Glitch community. Once you’ve downloaded the Glitch App, you’ll then need to source a code from a member of the #Glitch16 family to purchase a pair. Progressive, innovative and endlessly creative, Glitch beautifully symbolises the product revolution adidas have delivered throughout 2016. It might all be about progression in the adidas labs, however that doesn’t mean they’ve forgotten about the classics. This year has seen a limited edition Copa SL (Superlight), the new Copa 17 model, the final Gloro (in a mouth watering blackout colourway) and Copa Mundial inspired trainers in the shape of the Mundial Team Modern Craft. Innovation is at the heart of everything adidas produce, but that hasn’t stopped them from taking cult classics and adding a modern twist. However, for the brand saved their biggest nostalgic nod to their back catalogue for 2017. Although there’s been nothing official from adidas, the end of 2016 brought us leaked images of a revamped adidas Predator Mania, in the iconic champagne colourway. From what we know, the classic red tongue, instep stripes and elastic tongue strap will all make a return. A Sprintframe soleplate is also rumoured to be added to the re-release, with a synthetic upper replacing traditional leather, making the update much lighter than the original. adidas Originals gave the NMD sneaker the tagline: “The Past Empowers the Future”, however we feel it wouldn’t be out of place with a number of their football boot designs too. 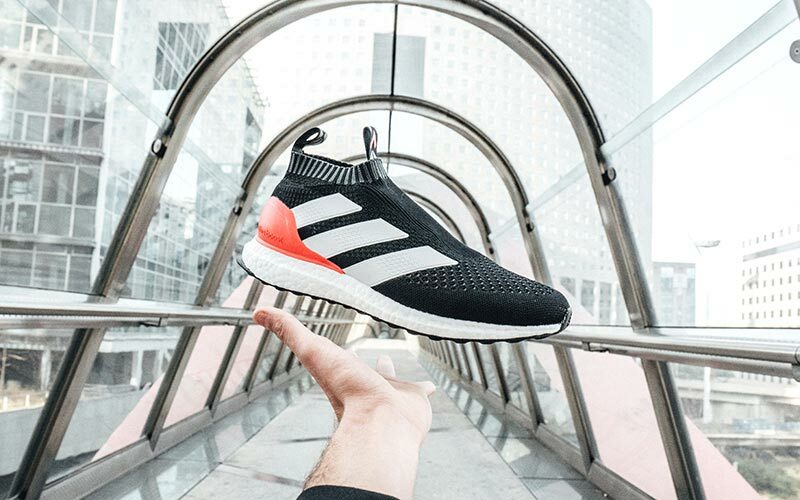 This whole product policy of focusing on both innovation and redevelopment in equal measure has seen adidas comfortably walk their way to the top in 2016. Striving to deliver game changing products, while listening to fans at every step, the adidas Future Lab and the likes of Sam Handy and Holger Kraetschmer (Head of Football Future) have helped the brand reach even greater heights. That’s not to mention the collaboration they’ve made with recycled ocean plastics firm, Parley, in which they’ve designed trainers and football shirts from the reused material. In a boot market where we’re used to seeing both the weird and wonderful, it can often seem brands are running low on ideas. 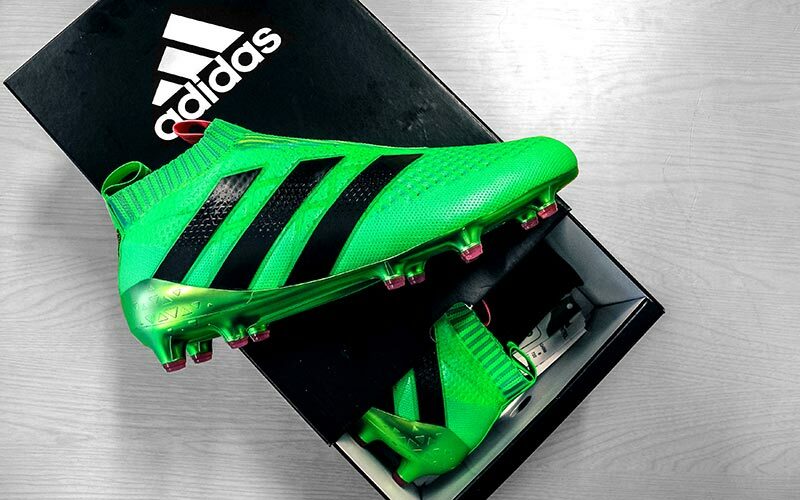 However, adidas have provided the perfect shot in the arm, with their vision of how a boot should perform. Influenced by how the Stan Smith and Superstar trainers were initially designed for tennis and basketball, respectively, it’s clear the brand are progressing to more street style inspired football products too. Pick up a pair of ACE 17+ boots and you’ll spot this in action, with a Boost midsole offering players the comfort of trainers. Meaning the gap between boots and casual trainers grows ever closer. You only have to look at the PURECONTROL Ultra Boost to see how successful adidas made the transition in 2016. “When you can fuse culture, authenticity and progression and pull all of that together into a product, that's when you're going to be building game changers,” Handy explains. Community. Creativity. Progression. Three themes evident in both football and how adidas approached 2016. Here’s to another ground breaking year for the brand. 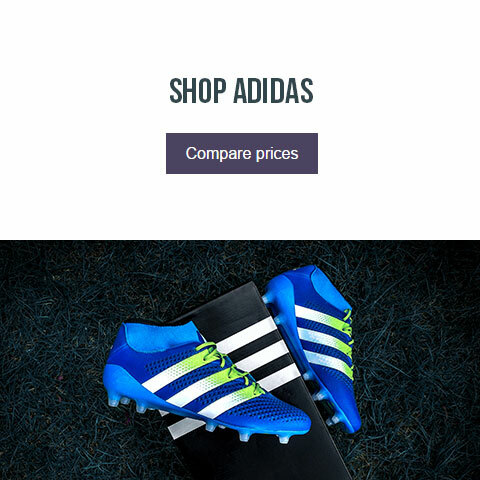 To discover more adidas products, make sure you head over to the adidas store at FOOTY.COM.